So, you want to be a blogger! Great! Do you keep searching the internet but do not find an easy-to-follow guide about How to be a blogger and make your own blog? Don’t worry! I will guide you through everything so that you can get your blog started as soon as possible. Many beginners fear the idea of blogging because they believe that they will mess it all up and end up disappointed. If you are one of them, just know that today, all of your blogging related fears are going to end because, finally, you have come to the right place. I have created this free blogging guide to help all those people who are trying to start their own blog but do not know how to do it in the right way. I promise that I’ll keep things relatively easy for you. Sounds good? Great! Let’s move on. Before diving straight into the steps to make a blog, I would recommend you to know about some particular terms that will help you in understanding the idea of blogging and how to become a blogger in a better way. So, here we go! A Blog is basically a personal website, an online journal, or a web page that is available on the internet where you share your personal opinions, thoughts, records, and links. You can share your blog on different social media platforms like Facebook, Twitter, LinkedIn, and so on. People around the world comment on your blog for starting a good conversation. You can also keep your blog private but most of the blogs today are built for interacting with the people, getting popular, and earning good money so they are usually open to the public. Blogging is the process of sharing recent trends, valuable knowledge, or good information with your audience by creating blog posts. Blogger is the person who owns the blog. He/she is responsible for keeping the blog alive by posting different articles, videos, or images. A blog post is an article or writing that you share on your blog. When you start writing good quality blog posts on your blog, it gets popular on the internet. You start getting traffic from different sources like other websites, social media, Google, or other search engines. Blog Traffic is the number of visitors that visit your website from time to time through different sources. When your blog has a lot of traffic, it symbolizes that you are doing good work and your audience is liking the content you are writing. Okay, note that a blog and a website are two different things. Some of you are surely not aware of the difference between a blog and a website. I have seen people who confuse these terms and use the former as the replacement of the later. So, let’s just clear the air and discuss the major difference between blog and website. The main difference between a blog and a website is the way the data is presented to you. A blog is a website or a part of website which is updated from time to time with the new content. Blogs are usually presented in a simple and informal way to the people so that they can connect themselves with the content. In a blog, every blog post or article has its own page and, most of the time, you see the latest posts on the homepage of the blog. The latest blog posts are often presented on the main page of the blog followed by previously uploaded content which the audience can see at first sight. You can easily create a free blog using WordPress and Blogger without any need of having a lot of technical expertise and skills. A big part of the website’s content is static. You can add other pages to a website but once you decide the order of the information you cannot change it later. You can add a blog to a website which contains other portions or pages too. If you add a blog to your website, the blog posts will not be shown on the homepage; they will be present in the blog section of the website. So, a blog can be a part of a website as a section of it or linked to the homepage. All lions are animals but all animals are not lions. That’s simply the difference between a website and a blog. The first thing that comes while creating new blog is choosing the best blogging platform. There are so many types of platforms available for blogging like WordPress – Hosted, WordPress – Self-Hosted, Drupal, Gawker, Blog Smith, Tumblr, Blogger, and so much more. Remember, when I write about “platform” for blogging, it actually means the software that you will use for running your blog. The three most popular blogging platforms that are being used today are WordPress, Blogger, and Tumblr. You can sign up for these free blog platforms and make your blog. I believe, WordPress is one of the best blogging platforms available today because it provides you with great versatility and top-quality free resources to use. It is the fully hosted WordPress where you host your website at the WordPress server and let WordPress handle the technical details of your website. It is totally free. You do not have to pay even a single penny for starting your blog here. But, when you run your blog on WordPress server, you do not have any control over the server or hosting and you cannot customize your site much beyond choosing a selection of some free themes. So, when you register your domain name on WordPress.com, it is considered as “sub-domain”. It is a self-hosted WordPress version where you use your own hosting and web server for running your website. You just go to WoprdPress.org and download the software for free to use on your site. You install this downloaded software on your web server for hosting your website on it. Using WordPress.org, you can easily customize your website as you want, add the plugins you need, and upload custom themes of your choice. 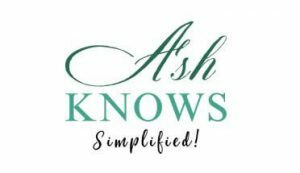 I am hosting my blog on WordPress.org and you can see my web address is: https://www.ashknows.com. Let’s suppose, I have my blog on WordPress.com. In this case, my web address will look like: https://www.ashknows.wordpress.com. Here my domain will be treated as sub-domain because it is using the web host and server of WordPress.com. If you want to build your own blog using WordPress, check out my very own The Ultimate Guide to Blogging with WordPress. Blogger is another platform like WordPress.com where you can create your blog and start blogging. This is also free and you do not have to pay anything for making a blog here. It is the next popular blogging platform after WordPress. Blogger is simple to use and you can explore its options quite easily. Tumblr is also making its name quite rapidly in the world of blogging and bloggers are liking it because of its great features. It is actually a half social network and a half blog. Tumblr is quite user-friendly and has a nice interface. Okay, this is one of the biggest decisions that you will make for yourself in the world of blogging. So, read this part carefully! If you want to create a blog for professional purposes, I would suggest you to buy your own hosting and work on it. But, if you want to start blogging as a hobby or a part-time thing, you can go for some free blogging platforms and start your work there. Hosting is the company which you choose for putting your website on the internet so that everyone in the world can see it. Everything you share on your website is saved there. Hosting basically acts like a hard-drive on the internet where the data of your blog is saved. WordPress, Blogger, and Tumblr all are free platforms where you can run your blog. But here, the web address of your blog looks a little bit ugly. Plus, you have to do double the effort for ranking your blog high on search engines because search engines give less priority to sub-domains. When you have a self-hosted blog with your own domain name, you are the real owner of your blog. Well, I know, you have a question in mind. Do you want to ask how much the hosting and domain name cost? So, to end your curiosity, it only costs $5 to $10 per month (even less than that) depending entirely on the hosting you purchase. The next thing you need for your own blog is a domain name. You choose a domain name that you like and then check domain name availability online. If that name is available, you are free to pick it for your blog. The domain or domain name is the URL of your website. For example, ashknows.com, google.com, yahoo.com are the domain names. Basically, the company that provides hosting usually provides the domain name too. They come with a whole package which includes hosting and domain name. There are thousands of domain and hosting providers available in the world who are providing great services at a very cheap price. Remember, while deciding a domain name for your blog or website, try to do some prior research and choose the one that is brief, simple, and represents your business in the perfect way. Once you have chosen the platform, hosting, and domain for your blog, the next step is to customize it for attracting and gaining a lot of visitors. You can change its theme, colors, add plugins, and widgets to it so that it can look beautiful to your visitors. The blogging platforms provide you with a lot of professional and easy-to-navigate free themes which you can use for your blog. Try to choose a design that represents your personality and the idea behind your blog in a clear way. There’s just no point of having a sports-oriented theme when your blog is all about health care. Secondly, never populate your blog with a lot of items and features because the more complicated your website is, the higher will be the bounce rate (percentage of visitors who bounce away from your website quickly after visiting just one page). No one likes to visit a website which asks for filling a long sign up forms for joining it or shows a lot of pop-ups from time to time. Remember, the ease of users should be your first priority. When you create a user-friendly website, it increases the audience retention on your blog and obviously your search engine rankings. We all make mistakes when we start blogging but, as you know, there is always room for improvement and learning. The most common mistake that bloggers make in their initial days is buying a lot of premium tools for their website which they do not even know anything about. In this article, you have learned how to be a blogger and create a blog in 5 simple steps. We majorly discussed blog, blogging, the difference between a website & a blog, and the difference between wordpress.com & wordpress.org.